How Can You Help? | Tennessee Aircraft Services, Inc.
CPA has been presenting the various model Systems and Procedures courses to members for many years. One would think everyone with a particular model would have attended a class by now, and there wouldn’t be a need for the classes any longer. Obviously, over time aircraft are sold and bought so there is a steady stream of new owners that need to learn the same “old” information. Some of our legacy airplanes are many decades old, so it’s easy to imagine several generations of owners. It stands to reason that 60 plus years of the “modern” aluminum Cessna has seen just about as many mechanics. It also stands to reason that these mechanics aren’t born with an intimate knowledge of the inner workings of an airplane that is likely some years older than the mechanic. Yes, this is another aging aircraft article, but this time with a slight twist. It’s true that older planes have certain mechanical issues not shared with the newer planes, corrosion being the most obvious with all sorts of special inspections and processes to mitigate that problem. But the legacy planes also have another problem that’s become much more prevalent in recent years: inexperienced mechanics. By inexperienced, I don’t mean these mechanics aren’t knowledgeable or experienced in a general sense. I find this industry has an active fleet of machines that span about 60 years and it’s not realistic to expect someone to be fluent with the details of all models in such a fleet. It’s like asking a 30 something year old car mechanic to keep up with the latest electronic laden hybrid cars and still be able to successfully maintain the mechanical fuel injection system on a 1962 Corvette. We’d expect them to also be well versed in synchronizing the dual SU carbs on an MGB using just a piece of garden hose, just in case a stray one should show up. One reason you’ve joined the Cessna Pilots Association is to be as informed as possible about your specific airplane. Your mechanic probably maintains a fleet of planes that includes most models in the Cessna line plus some of those off brands. Keeping up with all the sordid details of your specific airplane is a job he/she simply doesn’t have time to do. So the responsibility falls to you, which just happens to be a pretty good place. To do this successfully you’ll need to constantly be on the lookout for signals from your plane and mechanic that extra attention is needed. Many of the parts produced today for the legacy planes are still built with the original tooling and fixtures. Others are contracted out to other vendors. In both cases the people building the parts have changed over the years. Details of the original parts might have been hand written on drawings that have been lost or revised. Over time, many parts have been superseded in design to accommodate more aircraft models or some new type of machining process or just to make the part better. In any case, it’s very common for these new parts to have special needs when it comes to making them fit properly. When these little changes happen, you’ll almost always hear about it from your mechanic. He/she may call you to say the old part number isn’t available any more so the newer style had to be ordered. The next call may be to say that the new part doesn’t fit quite right, so the plane will need to be modified. At this point there’s usually some derogatory remark thrown in about those sorry engineers needing to try to do this job once in a while to get a taste of their own medicine. This is your cue to step up and lend support in the form of gathering any specific information you can. The CPA forums are a great source, the CPA tech support tickets can be addressed, and using www.cessnasupport. com is another great tool. Over the life of a 40 year old plane there are a lot of changes to the maintenance data as the plane matures. For a 210 there might be 30+ service kits, around 200 service bulletins, and revisions to the maintenance manuals. That doesn’t include the FAA airworthiness directives. To say the least, it’s a lot of data for anyone to keep up with, and that’s just one plane. Imagine being expected to keep up with the entire single engine Cessna model list. You can offer your time to search out any and all technical help that may have some impact on the installation or repair of the part involved. 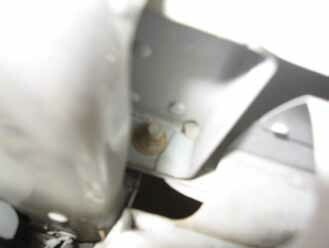 A common problem on the 200 series piston singles is the horizontal stabilizer rear mount bracket supports. 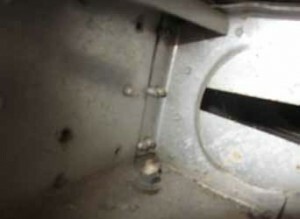 These brackets are a known weak point whose typical failure presents as cracks in the bend radius. 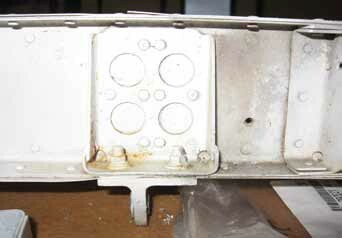 The original installed brackets were basically a flat piece of aluminum that was bent into a small open box. Over time the bend radius of these bends crack and new brackets must be installed. The replacement brackets are significantly different in design than the originals. Cessna’s first broadcast of the bracket failure issue was in the form of a bulletin, SEB 84-17 issued in October of 1984. This bulletin described the introduction of a new style bracket and some details on how it is to be installed. All Cessna authorized service stations would have received this bulletin and been well aware of the installation details. It was revised later that same year to add some earlier serial number 210 series to the affectivity list. 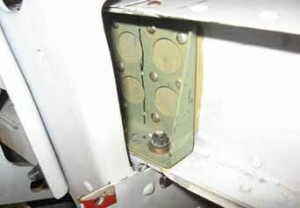 The subject fell silent until resurfacing in November 2000 when Cessna issued bulletin SEB 00-01 to address a problem with the construction of the new style replacement stabilator mount brackets. 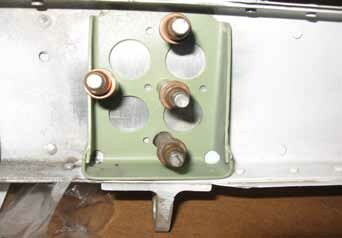 Some of the replacement brackets were missing two critical welds so Cessna wanted to get those off the planes. In March of 2002, the FAA issued AD 2002-07-01 that became effective May 13 of 2002. This AD addresses the same issue and refers to Cessna bulletin SEB 00-01 for accomplishment instructions which makes that part of the bulletin FAA mandatory. The AD is a one-time compliance document intended to check for any brackets produced by Cessna between February 27, 1998 and March 17, 2000. If none are found on the plane or none with missing welds, then all is well, almost. Most of the fleet still has the original style bracket installed. If the mechanic has specific make and model experience, or is just a good inspector, these old parts may still be found with cracks. The current parts manual still calls for the original bracket part number 12326231. When that part number is entered in the Cessna online site, a special note is displayed showing the original part has been replaced by part number 12326241. It goes further to state that one should refer to Cessna bulletin SEB 84-17 for proper installation instructions. There are also references to SEB 00-55-03 and SEB 00-10 which give more detail on the issue. A new client’s plane arrived at our shop for its first annual inspection with us. The structural inspection revealed several problems, including a broken horizontal stabilizer mount bracket. An interesting note is the failed right bracket was an original style while the left had been replaced with the new style. This is unusual because replacing the first bracket requires removing all the tail feathers and takes about twenty-two man hours. Replacing the second bracket at the same time only adds another two man hours. Once all the tail feathers were removed we noticed the new style bracket was not installed in accordance with the factory procedures. Some needed rivets were not installed; some don’t even have holes drilled where rivets should be. 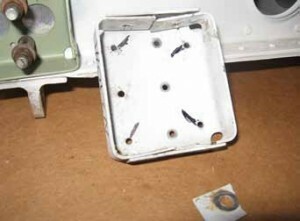 All of the rivets used were Cherrymax, which are specifically noted against in the published installation instructions. It appears that instead of questioning the obvious difference in the mounting of the bracket, the mechanic chose to go it on his/her own. This left a primary component improperly installed with questionable structural integrity. The first step in this entire process is for the mechanic to realize something is amiss. Had the example shop been Cessna legacy knowledgeable, they’d have known this part had important documented history. Had they been a Cessna authorized service station there would have been red flags during the parts ordering process. Cessna attaches notes to any parts that are referenced in bulletins to help shops avoid this exact scenario. Cessna is doing their part to help ensure all needed information is presented to those that need it. It’s up to the user to know to look for it. In some cases, that responsibility may fall to you, the aircraft owner. As a knowledgeable owner, you need to be involved to help ensure that any shop you use gets the information needed to perform the best possible work on your plane. As these planes age it requires more effort on the part of mechanics and owners alike to stay informed.